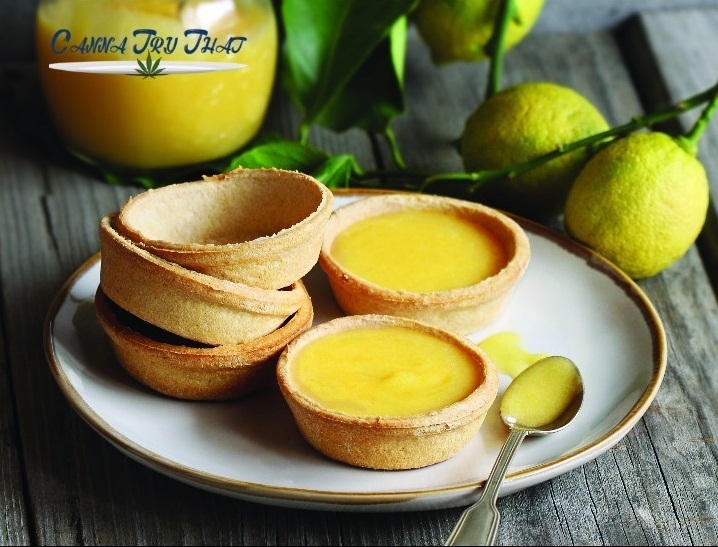 Lemon Curd is undoubtedly one of the fancier types of cannabis edibles on the market. This recipe leverages the use of cannabis butter (often known as cannabutter), one of the most common forms of medicated cannabis in terms of cooking. This will save you the added step of decarboxylating your marijuana, a process which usually takes an additional 20 minutes and requires your own marijuana. It yields a large jar of lemon curd and only takes about 15 minutes to create. It is a simple and easy recipe to make and suitable for beginners to marijuana cooking (though perhaps not for beginner marijuana users, as the dose here is quite potent). Dosing with cannabis butter and other forms of cannabis can be quite tricky for a number of reasons so if this is your first time making a cannabis recipe it is best to err on the side of caution, and perhaps use 2 or 3 ounces of cannabutter instead of 4. The first step is to mix the eggs and sugar in the metal bowl and whisk them together until they are well mixed. Next, fill the saucepan with 1.5 inches of water. Let this simmer n a low heat. Zest the Meyer lemons and juice them. Add the juice and zest to the egg mixture and whisk until smooth. Now place the bowl on top of the water simmering in the saucepan. Let the mixture cook and keep whisking it until it thickens. This is the most difficult and boring part of the job and takes around 10 minutes before the mixture is thick enough. You can now remove the pan from the heat and stir in the cannabutter, tablespoon by tablespoon. Allow each tablespoon to melt and fully dissolve before adding the next spoon. You want the cannabis butter to be evenly blended. Your cannabis infused lemon Mayer curd mix is now ready. Put it into a jar and seal it airtight, using plastic wrap on the top. Store it in a cool place and serve when necessary.